"British Airways has lost its way"
"Maybe BA has found a new way". Time has passed and events have gone on so that the situation needs to be looked at again. This is emphasised by the potential takeover of Aer Lingus by the now holding company for BA and Iberia which is called International Consolidated Airlines Group (IAG). IAG´s bid for Aer Lingus is quite logical, even if not desired by some. The obstacles are quite clear. Would there be a restriction on competition between London and Ireland? On flights from London Heathrow the answer is clear but on city pairings the main competition is between Aer Lingus and BA against Ryanair and Easyjet(Belfast). However, since Ryanair already owns 29.9% of Aer Lingus Does not that danger already exist? The Irish government would not look kindly on any reduction of Aer Lingus flights into Heathrow from any of the Republic´s airports (remember the hoohaa created by the reduction of flights to/from Shannon). Thus I see that BA would consolidate its position on the routes by reducing its own frequencies or even withdraw from Dublin(as previously). I do not see BA withdrawing from Belfast as that would be considered a step too far politically. Little Red´s 13 times daily slots are also up for grabs. Virgin Atlantic closes its routes from March onwards and if there are no takers to substitute Little Red(operated by Aer Lingus) then they all revert to BA except for two which are Virgin Atlantic´s own. In those two ways BA could increase the number of slots for other destinations. The shareholders could be a problem. The Irish government´s 25% share might well be sold under the right conditions, and price, as already stated. Ryanair would probably be glad to sell without losing money on its stake, as it is being forced to do at the momemt. This would enable Ryanair´s O´Leary to consider seriously the purchase of Cyprus Airways,(as he stated previously) or at least its assets after its recently announced closure. The unknown element is Etihad which has a 4.9% shareholding. Would it make a serious attempt to take over Aer Lingus(to a maximum permitted 49%) to consolidate into its alliance or would it accept the inevitable if the Irish Government and Ryanair jumped ship? In my view IAG will win through. Dublin will be promoted as a gateway to the USA and Canada, especially from the UK regions to protect BA from the transatlantic flights from Paris, Brussels, and Amsterdam. Look at the "where we fly" map covering the UK and you see so many destinations to/from Dublin, 18 if my counting is correct, quite a few of which do not have flights to LHR. After all BA would just be looking after its own back yard. The anna-aero (the airline network news and analysis) website has just published a look at the IAG bid for Aer Lingus titled "Aer Lingus/BA deal could create opportunities for new transatlantic flows" It makes interesting reading, analizing all the ins and outs of a possible merger. In this time let us look at what IAG has done. Firstly BA and Iberia merged to form IAG. As expected Vueling was taken over since Iberia had a 45% stake in the airline. It operates very successfully as a LCC out of Barcelona, and has other bases throughout Europe. It is well run and very innovative, the proof of which is that both Easyjet and Ryanair have adopted some of its offerings to the public, such as selected seating. British Midland(BMI)was in the hands of Lufthansa but could not make it profitable so decided to offer it on the market. The logical taker, Virgin Atlantic, offered a miserly sum(GBP100 million if my memory is correct) which was easily beaten by BA. The competition authorities made BA give up some of the slots to enable Virgin Atlantic to set up a domestic airline as competition into LHR and as a feeder for its routes.Known as Little Red (and operated by Aer Lingus) this has proved to be a failure by not achieving the required occupancy levels demanded by Branson and thus was not profitable in the two years of its existence.If no other offer for those slots to set up a domestic carrier is forthcoming then the slots revert to BA. BMI Baby(based in East Midlands) was closed down while BMI Regional(based in Aberdeen) was sold on to the original founders of its operations and is going strongly, now cooperating with Lufthansa especially in and out of Munich. 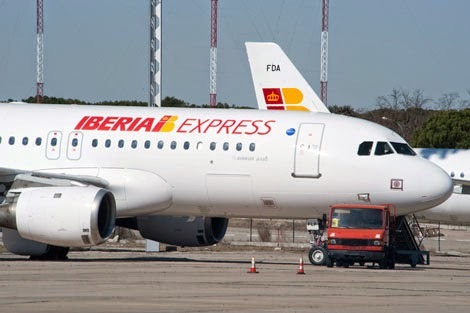 Iberia has tried to set up a low cost operator based in Madrid called Iberia Express It has proved to be very profitable from year one but has been impeded by the unions and courts from expanding very much.It is now into its third year. What IAG has not done. Air Nostrum(operating as Iberia Regional) still forms part of the group though IAG has still not taken up any shareholding in the company. Flybe still remains an associate company of IAG. There is a 15% shareholding. It set up a company called Flybe Nordic with Finnair´s short-haul flights in 2011 but eventually sold its 60% stake in it to Finnair in November 2014 for €1, in an attempt to reduce group costs. 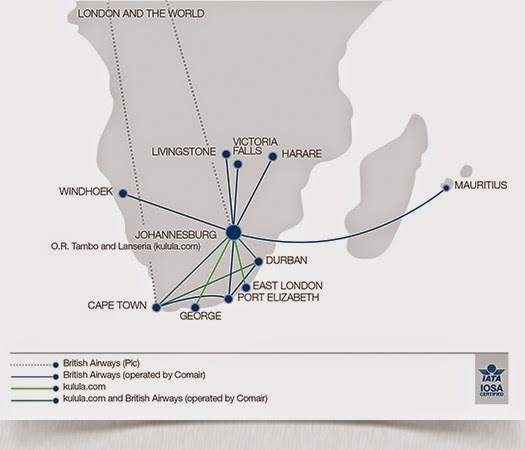 Comair is BA´s franchisee in South Africa where IAG still maintains its 18% shareholding. This market, however, is hotting up with the advent of low cost competition from both inside and outside the country. Comair does have a low cost brand in Kulula so should be able to hold its own. 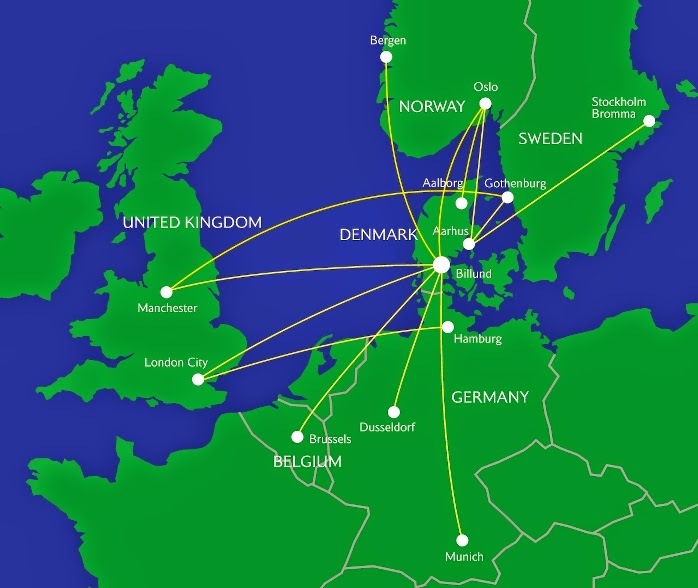 Sun-Air Scandanavia still operates as BA´s franchisee from Billund in Denmark. It has extended its routes as to compared to the map of 24/9/10 but not by very much. It appears to still have a lot of unfilled potential in the Scandanavian market. Open Skies is BA´s subsidiary which flies 3 times daily Paris Orly to New York, both JFK and Newark. Other destinations tried and failed were Paris-Washington DC and Amsterdam-New York.The choice of Paris Orly might well be convenient for access to central Paris but it is not so good for connections with other oneworld airlines except for some Iberia flights. Open Skies flies three classes Biz Bed(business), Prem Plus (premium economy) and Eco (economy). This is the latest configuation after trying a business and premium economy mix as they obviously need the backsides on the seats, up to 84 in each aircraft according to the configuration. However, now it finds it has competition in the form of La Compagnie which in July 2014 started to fly Paris CDG to New York Newark. It flies just one Boeing 757 at the moment (the same aircraft as Open Skies) in a business class configuration of 74 seats. Also without even completing its first year of operation it will offer a London (airport not specified)-New York(Newark?) route from the spring of 2015. This will be in competition with BA´s business class routes from London City. The chances of La Compagnie making a success of the venture is quite high since the founders of the airline include the founders of L´Avion which BA bought to help launch Open Skies. What all this boils down to is that IAG has taken over Vueling and BMI but nothing else. What IAG could have done, did not do and/or could not do. A good rule of thumb is to look at the fellow members of an alliance.That way we may see likely partners. The IAG group is a member of the oneworld alliance with its 15 participating groups.This is a loose grouping which does not restrict members from having other connections, codesharings or the like. However, over the years various changes have taken place. Malev(Hungary), Kingfisher(India) and Mexicana(Mexico) have all gone bust. Air Berlin (BA sponsored its entry into oneworld) has sold a large share(29%) of itself to Etihad. Thus, this airline has one foot in and one foot out of the alliance. Malaysia Airlines (MAS) has entered oneworld and encountered two tragic events. One is the loss of a flight from Kuala Lumpur to China in 2014, which apparently was diverted and lost over the south Indian Ocean, and has still not been found. The second was the shooting down of a flight from Amsterdam to Kuala Lumpur by, apparently, pro-Russian seccessionist forces in the Ukraine in 2014. These events have damaged the airline through no fault of its own. This last case of Malaysia Airlines might open the door to a foreign participation in the carrier. In the meantime oneworld now has in its ranks American Airlines merged with US Air, one of the three major Arabian Gulf carriers, Qatar Airways, the South American TAM merged with LAN into Latam, as well as the Russian S7, Sri Lankan and the consolidation of Japan Airlines(JAL) into the alliance. In Europe at the moment there are three airlines on the block. Almost all the airlines are in one alliance or another while some have opted to join Etihad in its shareholding alliance - such as Air Berlin, Air Serbia, Darwin, Aer Lingus. 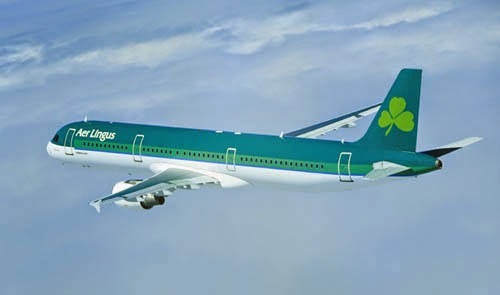 Aer Lingus is up for grabs as we have already stated. TAP Portugal is also for sale. This would most probably not be a proposition for IAG as it would give IAG a predominance in the Iberian peninsula and on traffic to South America. the third airline is the Polish LOT. This could be very interesting for IAG as it would fill in a gap in Central Europe which could be lost with the withdrawal of Air Berlin from oneworld, if that were to happen. With a population of about 40 million Poland could provide a decent springboard to increase market share in Europe. With France, Germany, Turkey and Greece covered by the present carriers there seems to be little opportunity to set up or take over another option. The country missing from the list is Italy. Etihad has just taken up its permitted maximum shareholding of 49% in Alitalia. Will that be sufficient to turn the loss making airline around.? If any airline is interesting in Italy it is Meridiana. Among its partners the only airline mentioned is British Airways. It flies from London Gatwick to Catania, Cagliari, Olbia and Naples which are more destinations than 5 years ago, while from Madrid the destinations are Cagliari, Naples and Turin. Into Barcelona it does not fly.However, Vueling does have bases in Italy and flies several different domestic routes. Thus it seems that IAG has to clear up what the policy is in Italy. Does it want to expand with a takeover of Meridiana, or is it quite happy with the present preditory situation? What about the other members of oneworld? Finnair is a relatively small airline and for some time there has been speculation about its incorporation into IAG - a logical move, but is it likely in the short term?. MAS has got into difficulties through no fault of its own so might welcome a foreign partner - but proably not at 100% so that possibility is very much up in the air. Qantas has focused away from Europe to Asia and the Arabian Gulf so probably would not welcome overtures from European based groups. The Latam goup has encountered difficulties, especially with the downturn in the Brazilian economy. The situations in Argentina and Venezuela have not helped the group with the economic uncertainty. I do think Latam will sort itself out without any help from IAG. Where else can one look then for opportunities? The next best thing is to look at the other airlines with which IAG cooperates one way or another. Three come to mind. 10th June 2014 Iberia announced it would codeshare with Interjet (Mexico) to 24 destinations in that country.This would fill the gap left by the demise of Mexicana in that country of 110 million people. While there is no equity investment in Interjet the agreement should benefit both sides. I should expect BA to extend the codesharing to its routes as well. If this leads to any greater cooperation we will just have to wait and see. Bangkok Airways(Thailand). This is a codeshare partner of BA. As can be seen from the route map many routes are shared principally with Qantas, JAL, and MAS, all partners in oneworld. WestJet (Canada)This is another codeshare partner of BA though it also codeshares with American Airlines and Delta Airlines. Thus I see it as an airline wishing to maintain its independence. There could be other possibilities for merger partners but we always come up against economic nationalism where flag carriers are seen as important standard bearers of a country´s independence. If not at least there are limitations on shareholdings. The USA is the worst offender in this case since it will not permitt any foreign company or group to have more than 25% of any of its airlines. BA came up against this when it had shareholdings of 25% firstly in United and later in US Air. The Open skies agreement of 2008 between the US and European Union supposedly liberalised the sky traffic but "The treaty disappointed European airlines as it was tilted in favor of United States airlines: while they are allowed to operate intra-EU flights, European airlines are not permitted to operate intra-US flights nor are they allowed to purchase a controlling stake in a US operator." This was supposed to be solved in the following two years but nothing was done. In fact when Virgin America was set up the US authorities ensured that the Virgin group had no managerial control over the airline at all. This means that any merger mooted between American Airlines and IAG is not on the cards, or at least should not be.Take as an example of the differing attitudes when Singapore Airlines sold its 49% stake in Virgin Atlantic to Delta Airlines. There was no fuss whatsoever. India is another country with strict control on shareholdings. Before the limit was 25% for foreigners as in the US. Now the limit has been raised to 49% so that various joint ventures are being set up such as Air Asia´s and Etihad´s partnership with Jet Airways. I do not see this as an interesting market for IAG as yet. Most of the important markets seem to be closed. The best bets seem to be in Central and South America but that has to be seen. The Caribbean holds opprtunities especially in the tourist market to/from the US and Canada, but that might not be considered. Africa has great potential but one cannot see where to start unless Comair South Africa is used as the vehicle. Ethiopian and Kenya Airlines show that a lot can be done but maybe the thinking should start on the other side of the continent with Royal Air Maroc. Whatever, a lot can still be done to consolidate the industry - keep watching. And now oneworld partner Qatar Airways has taken a 9.9% shareholding in IAG. "Qatar Airways buys its 10% stake in IAG, showing it wants a serious relationship"